Irfan Bhabhrawala joined Arbor Financial in early 2014 and purchased the business in November 2015. He is involved in all major business operations and is the Lead Financial Planner. Before joining the industry as a full-time professional in 2014, Irfan had been involved in financial planning for over 20 years, assisting numerous colleagues, family members, and friends with estate planning, investments, and taxes. Irfan also has real estate investment and management experience. Irfan and his wife own and manage multiple real estate properties in Ann Arbor, MI. Irfan Bhabhrawala is a CERTIFIED FINANCIAL PLANNER™ and a Registered Tax Preparer. He is an active member of the Michigan chapter of the Financial Planning Association (FPA), the Association of Comprehensive Planners (ACP), and the National Association of Personal Financial Advisors (NAPFA™). He has a Bachelor of Science in Mechanical Engineering from the University of Michigan. Prior to joining Arbor Financial, Irfan worked at the University of Michigan as an Associate Registrar, with management responsibilities in Business Intelligence/Reporting, Athletic Certification, Teaching Evaluations, Placement Examinations, and Information Technology and Security. Irfan also founded and ran Active Technology Solutions, a consulting company focused on enterprise software implementations. 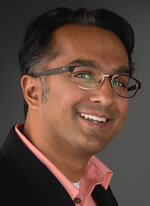 Prior to that, he worked in consulting roles for PeopleSoft (now Oracle) and Andersen Consulting (now Accenture). Irfan is passionate about understanding each client’s story, their unique situation, and partnering with them to achieve their financial and life goals. Irfan lives in Ann Arbor, MI with his wife (Stacey), son (Zoren), and dog (DJ). Savvas Giannakopoulos began his career in the financial services industry in 1987 (yes, the year the stock market crashed) at the Ann Arbor, Michigan office of Merrill Lynch. 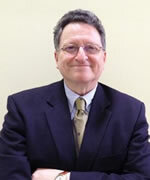 In 1990, he ventured out on his own, founding Arbor Financial – a Fee Only Firm (member of NAPFA™). Savvas is a CERTIFIED FINANCIAL PLANNER™, with an MBA in Corporate Finance from Eastern Michigan University and a Bachelor’s of Science in Engineering from Purdue University. He is also an Enrolled Agent (EA) with the IRS. Savvas has taught Corporate Finance classes at the University of Michigan, Eastern Michigan University and Cleary University on a variety of subjects including: Financial Analysis, Capital Management, Banking Industry Reserve Regulations and Advanced Case Studies. Through his career, Savvas has been an active member of the Financial Planning Association (FPA), the National Association of Personal Financial Advisors (NAPFA™), the National Tax Preparers Association (NATP), and Association of Comprehensive Planners (ACP). Today he continues to work with his clients to help them achieve both their financial and quality of life goals. Savvas lives in Ann Arbor, MI with his wife Marilyn. Please click here for disclaimers, disclosures and important legal information.